Access to paid content on this site is currently suspended due to excessive activity being detected from your IP address 52.200.130.163. Please contact the publisher to request reinstatement. Diseases of Children, with Contributions by 36 Authors. This article is only available in the PDF format. Download the PDF to view the article, as well as its associated figures and tables. This is an English book distributed in this country. Nicely printed and profusely illustrated, it is a cooperative effort in the field of pediatrics similar to those of Cecil, Musser and Conybeare in general medicine. The result is an excellent miniature encyclopedia of pediatrics, but, as in all of these group compilations, one misses the personality and point of view of a single outstanding master. A vast field is covered, and there is of course considerable duplication of what is adequately discussed in textbooks of internal medicine. Hence, some of the articles on important topics are too brief to be of great value, and at times too much space is given to rare and curious conditions. On the whole, the book seems adequate, but it does not rouse one's enthusiasm. New! 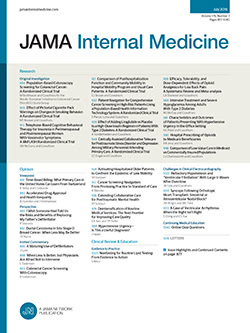 JAMA Network Open is now accepting submissions. Learn more. Customize your JAMA Network experience by selecting one or more topics from the list below. © 2019 American Medical Association. All Rights Reserved. Get free access to newly published articles. Create a personal account to register for email alerts with links to free full-text articles.